Spring is the start of DIY season. After a long Minnesota winter, it’s natural to start your spring cleaning and start dreaming of home improvements, as well. But don’t forget the low-hanging fruit, the easy-to-do inside projects that can make a quick impact. These are a half-dozen DIY inspirations that you can do right away, or wait until you run into a rainy day. Like we’ve always suggested, painting your front door and adding a few accessories is one of the fastest changes that can completely transform your curb appeal. And if you want to experiment with something like this yellow, it only takes a little more paint to change it to a less springy color for fall and winter. Click on this link to see the proper way to paint a door. A simple porch makeover can create an outdoor hangout for the whole family. Add some pillows, hang some curtains for privacy, throw out a rug, and voila! The perfect place to read a book. When you’re painting the exterior of your home, it can be tempting to use an accent color for your garage door. However, Faye from the Woodbury Hirshfield’s has some expert advice — don’t! “Your garage door is likely not the most interesting thing you can draw attention to,” she says, “and an accent color should highlight the most attractive parts of your home.” Instead, be sure to remember the accent ratio: 70% should be body color, 20% trim, and 10% accent color. Here are some examples of how to properly incorporate accent colors on the exterior of your home. 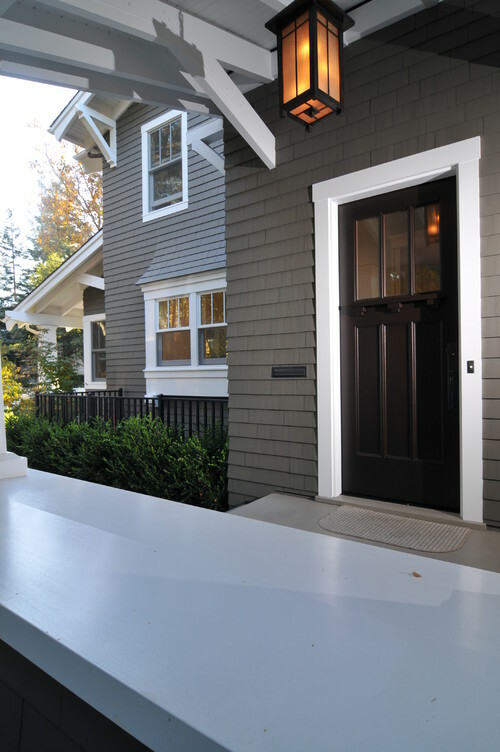 You may have heard this before, but the front door is a great place to use an accent color. You can use a bright color, like green, for a great pop of color. 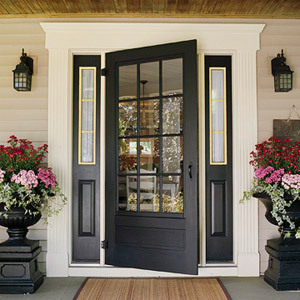 Grand Entrance®, from Benjamin Moore, is a paint designed specifically for doors – check it out. Or, you can never go wrong with a classic like black. This is another popular place to use an accent color, and it works really well with the accent ratio. Be sure to choose a color that goes well with both the body color and the trim, and again, you can’t go wrong with a classic. Yes, your garage door may be a great place for an accent color, but there’s a catch. You only want to draw attention to your garage door if you have a beautiful garage door. One more tip — never use an accent color to highlight an access door outside of your garage. 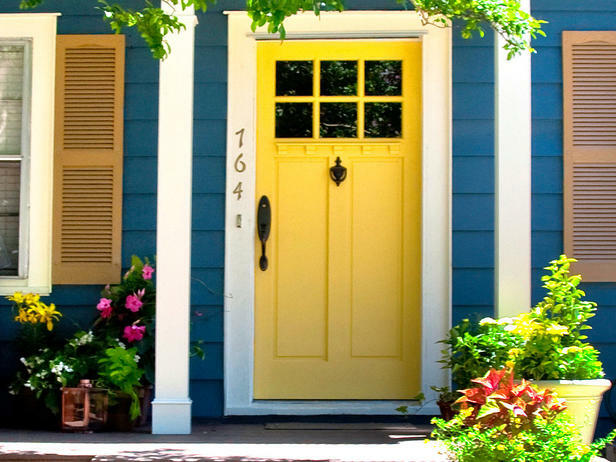 For safety reasons, make sure to paint that door the same color as the body of your house. If you want to add some pizzazz to the outside of your home, whether for your own satisfaction or because you’re thinking of selling, consider using color. You can update your home’s exterior to give it a fresh look or to incorporate trends that you enjoy. When it’s done well, adding a pop of color can also increase your home’s curb appeal and help your home stand out in the crowd. But how do you add color the right way? Here are some tips to get you started on using paint to your home’s best advantage. Remember the constants. When you decide to change your home’s color, first think about its unchangeable features—brick, stonework, roof—and its era and architectural style. That will help you narrow down options. Just like you can’t stop the holidays from coming, you also can’t stop the parties, guests and endless entertaining that always seem along with this time of year! And with all the people coming and going, you want to make sure your house feels warm and inviting. That means those last minute fixer-up projects you’ve been putting off, yeah it’s time to get them done! Your guests’ holiday experience begins at your front door. Set the stage with a beautiful wreath, lights or greenery. Your exterior holiday decor should also reflect your interior decorating style, giving your guests a sample of what they will find inside. Simple, inexpensive projects such as upgrading your mailbox, house numbers, doorbell or knocker can transform the look of your home and will make your guests feel welcome knowing that you care about your home and the people inside it. You only get one chance to make a good first impression – and the same goes for your house! Whether you’re getting ready to put your house on the market, or you just want to do a little sprucing up, the curb appeal of your house is what makes that so very important first impression. If people don’t like what they see on the outside, chances are they will be less inclined to want to see what’s on the inside, and vice versa. 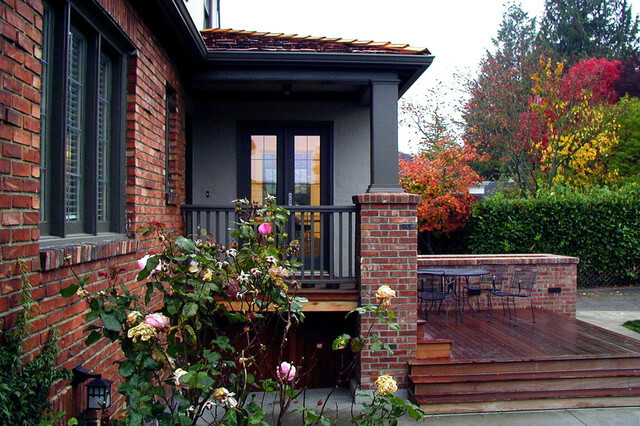 So take a little time this spring to invest in the curb appeal of your house. Here are some tips to get you started. Create beauty with symmetry: Symmetry is not only pleasing to the eye, but it is also simple to arrange. 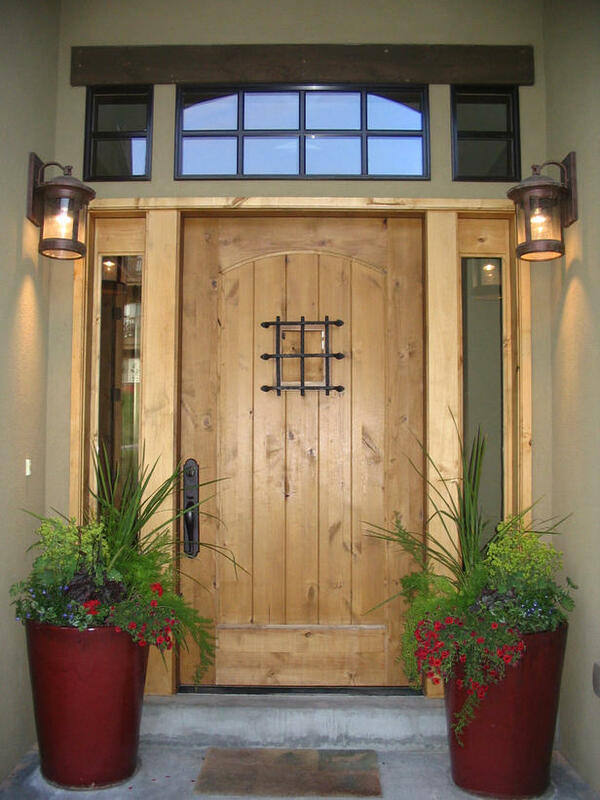 Light fixtures, potted plants and outdoor art work can all be easily arrange in a symmetrical fashion to accent your front door. Give your home a facelift: Whether you need to replace some old hardware, install a new mailbox or give your entire house a fresh coat of paint, there are many ways to freshen up the exterior of your home. 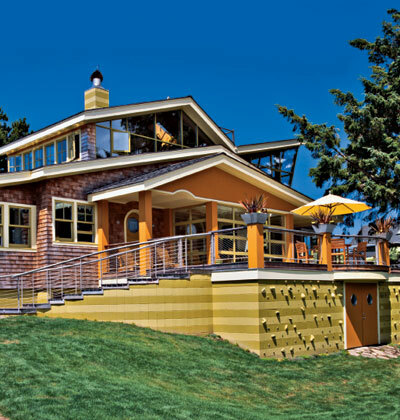 Mark Masica of Hirshfield’s shares some tips for choosing the right exterior paint color in parts one, two and three of this series on painting the outside of your home. 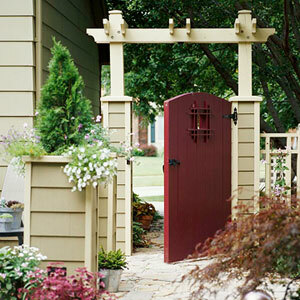 Add architecture: Adding a cute fence or romantic archway can add instant curb appeal. 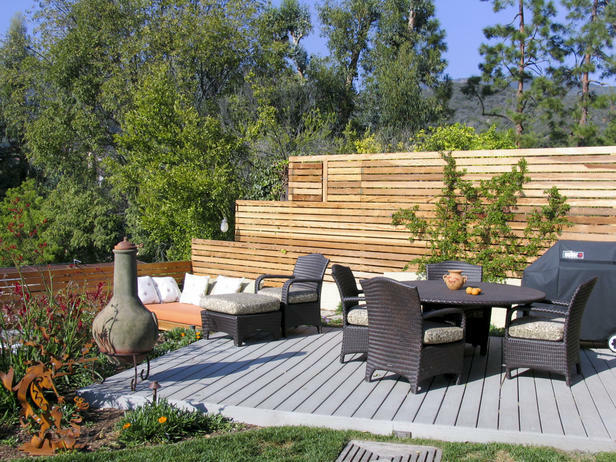 Using these elements, you can define outdoor spaces and gardens to make them feel like an extension of your home. If you have any questions about choosing the right paint color for your exterior paint project, or you just want some advice or more inspiration, stop in to your local Hirshfield’s! This is often called the “70-25-5” rule. 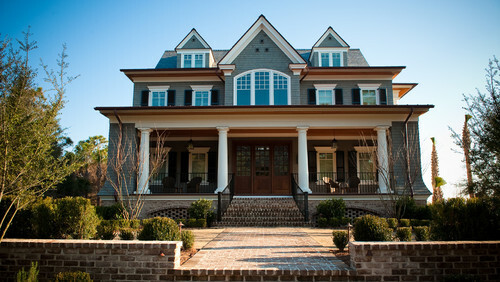 Typically 2 colors are used on a single story home, 3 on a 1 1/2 or 2 story, and the sky’s the limit on a Victorian.